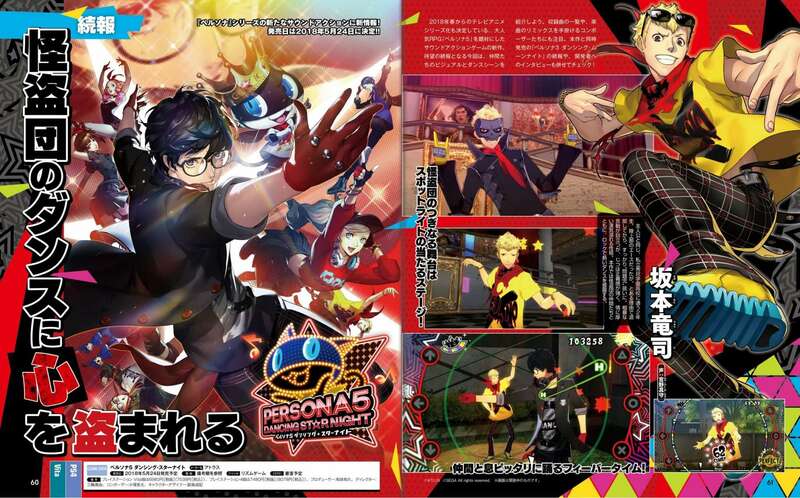 As previously announced, this week’s issue of Weekly Famitsu magazine #1518 includes a 10-page feature on Persona 3: Dancing Moon Night and Persona 5: Dancing Star Night, with new screenshots. 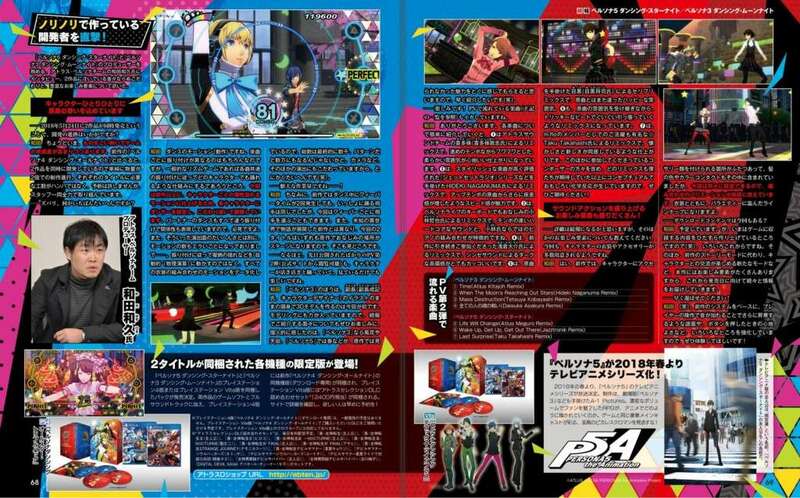 Information for the games from the scans, from an interview with director and producer Kazuhisa Wada, can be found in a previous post. 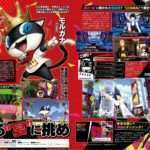 The January 11 and 18, 2018 double issue of Famitsu—or issue #1518—will be released in Japan on December 27, 2017. 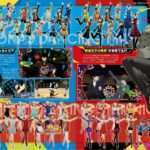 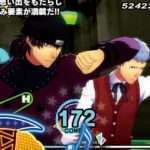 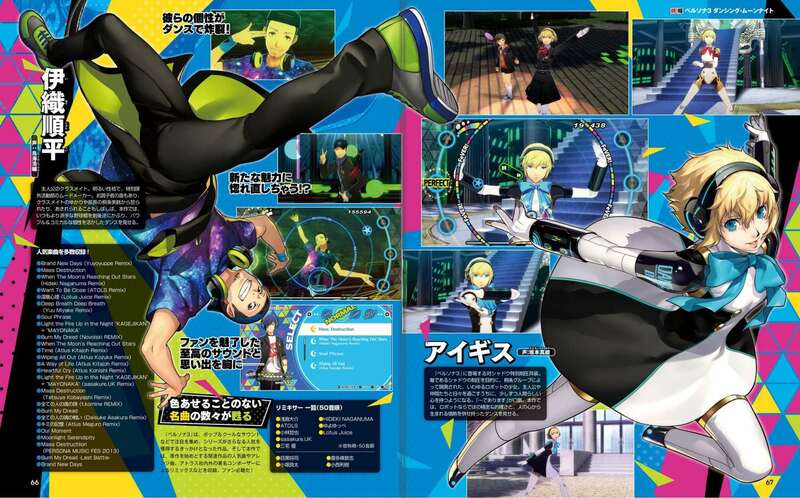 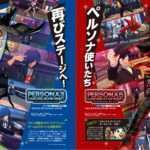 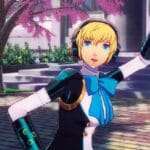 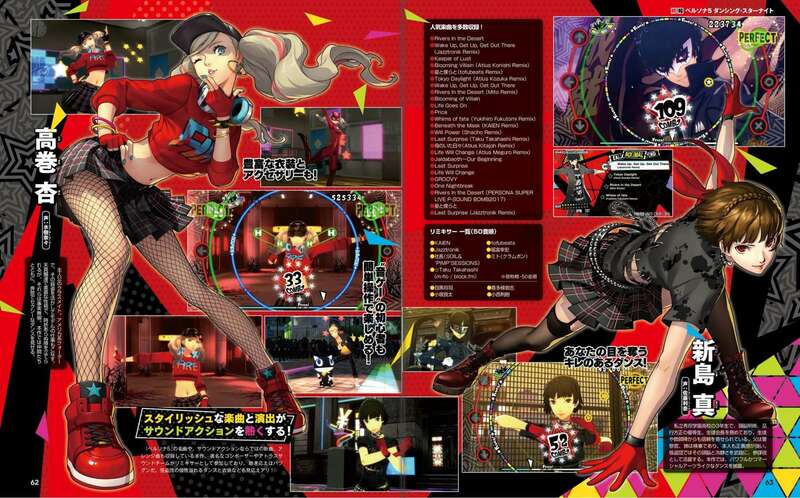 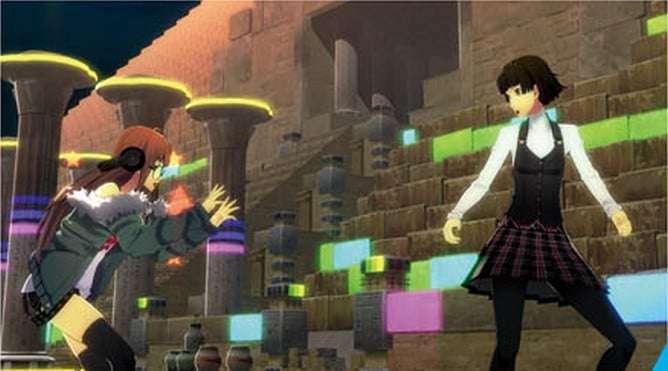 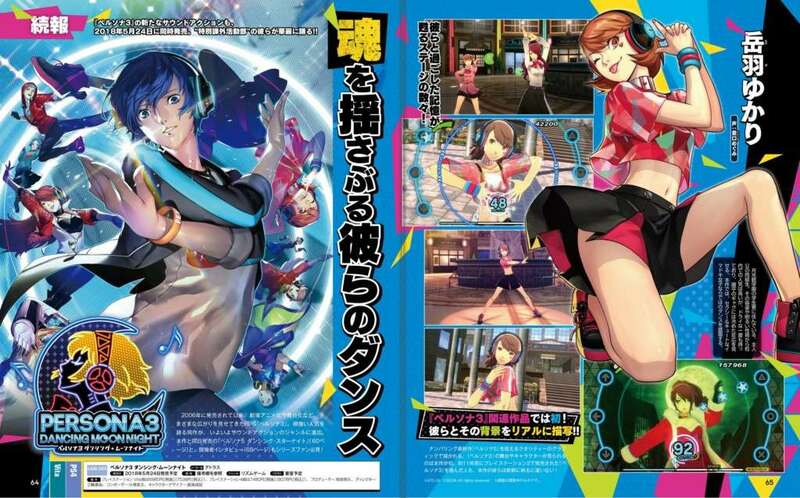 The first magazine feature for the rhythm games followed their announcement in August 2017, with preliminary information on the titles.